BUS ÉIREANN HAS launched a recruitment campaign with roles based in Ireland’s four largest cities – Dublin, Cork, Galway and Limerick. 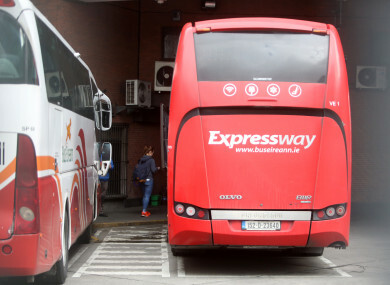 Today’s announcement comes as part of an “expansion and enhancement of services on a number of Bus Éireann routes nationwide”, the company said today. The national bus service has been in operation for over 30 years. Job candidates must have a full/clean ‘D’ class Irish driving licence, digital tachograph card and driver CPC (Certificate of Professional Competence). Bus Éireann Chief Customer Officer, Allen Parker said it is “an excellent opportunity for people who enjoy working with the general public in a busy and evergrowing environment. “This recruitment campaign follows the recent success of our Open Day for women drivers, our first new female driver commenced employment late last month, so if you’re looking for a new and exciting role, apply today,” he said. Earlier this year, Irish Rail said it was also launching a national recruitment campaign to bring more drivers on board. The application process for Bus Éireann’s latest campaign can be found here. Email “Fancy being a bus driver? Bus Éireann are hiring in a number of locations ”. Feedback on “Fancy being a bus driver? Bus Éireann are hiring in a number of locations ”.